Handle your sales in the most professional way to make sure you never have any conflicts with your customers. Trust and transparency is a ground rule for all the mutually respectful relationships with your customers, especially when you're managing payment transactions. 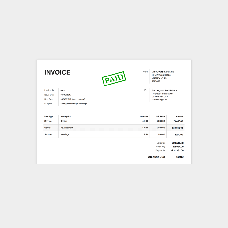 With this module, the system will generate payment confirmations email for every purchase your customers make onsite. This way, they'll always be sure their expenses are treated with due attention and keep track of all their purchases if necessary.